Asian High-Tech gurus are the closest guys on this planet to next generation of products, this time as usual a Japanese website leaked the unofficial specifications of the high-end graphics card from AMD, R9 290X card side by side with R9 290 variant. 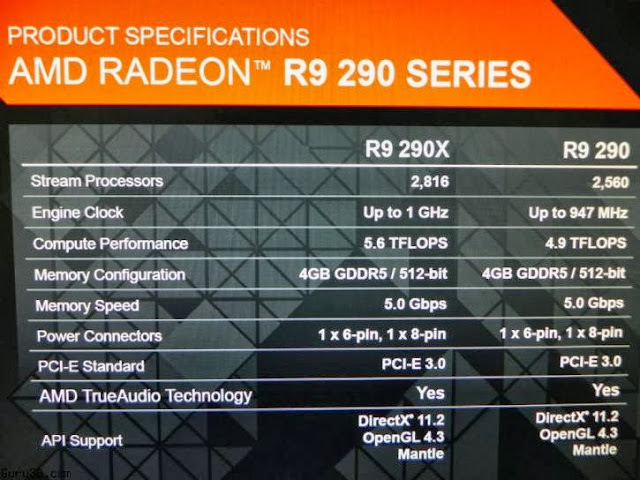 The AMD Radeon R9 290X which is priced on a pre-order at 729$ on newegg has some decent specifications with up to 2,816 stream processors, 1Ghz of core clock running at single-precision floating point with 4GB of GDDR5 video memory, and supporting the latest DX11.2, the non-X model specifications are all slashed except memory and bus, check out the table bellow for more numbers. 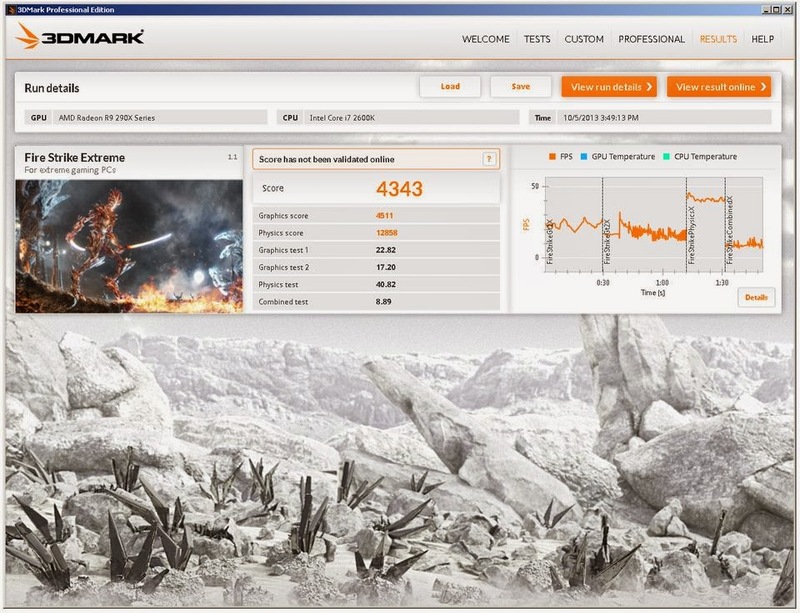 Benchmark snapshots is also available TPU forum about the R9 290X showing 4343Mark on 3DMark.